MaxiCoffee, is a great French story born in 2007. Our great adventure sprang out from a tiny bean and it keeps growing every day. Our creed? Meet all your caffeine cravings. our whole team of coffee addicts works hard to find you the very best. MaxiCoffee was born when 2 passions met: Coffee and The Internet. Meeting between Jean-Charles Krompholtz (an online expert) and Fabien Folio (a coffee shop manager) in the South West of France. 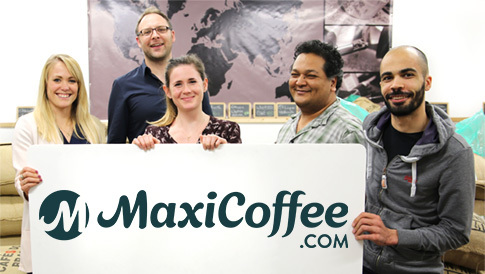 The idea to create the MaxiCoffee website is born ! The first coffee sold is from the brand Cafés Lugat, artisanally roasted by Lionel Galut, a local roaster, friend and partner. Lionel joins the MaxiCoffee adventure. Already 10 employees & 400 m2! Taking advantage of Fabien’s experience, the team starts the « Create your own coffee shop » project. MaxiCoffee is growing and moves to bigger premises in La Teste-de-Buch (on the Arcachon Bay), a town best known for la Dune du Pilat (the highest sand dune in Europe). MaxiCoffee.com offers over 4000 products on its website. The aroma of freshly roasted coffee starts to linger around the offices with the arrival of artisan coffee roaster Cafés LUGAT. 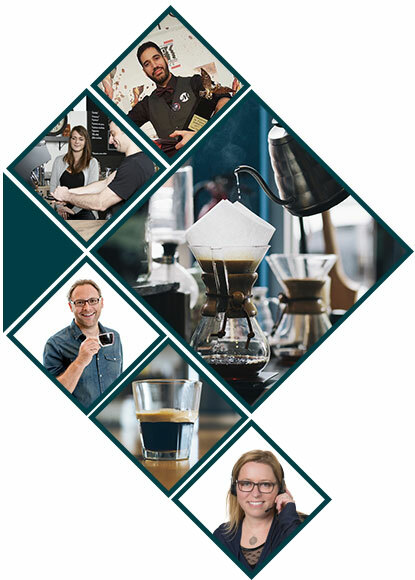 40 passionate coffee experts join the ranks (roasters, barista, Coffee Shop specialists and coffee championship judges…). Time to expand again ! The MaxiCoffee premises go from 2000 m2 to 4000! Coffee Shops finally get their own training centre with l’Ecole Café (our own coffee school). A new era for MaxiCoffee with the creation of a brand new supply chain to improve packaging and deliver parcels to our customers faster. The adventure continues… We are now more than 60 employees in premises spreading over 6000 m2. « Coffee Spirit » is born : the first French magazine totally dedicated to coffee, tea and chocolate. It is shared with over 90,000 homes. 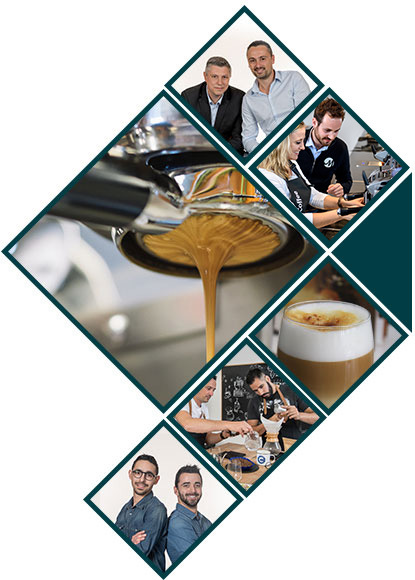 It is a busy year that also sees the creation of our own line of products tailored for baristi : Baristator joins our catalogue. 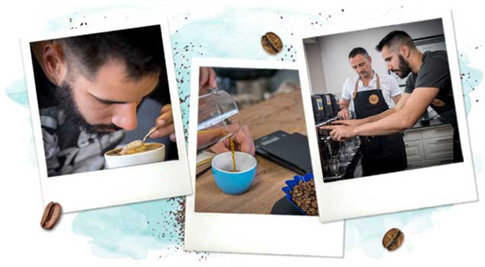 Marco, chief coffee roaster for the emblematic Cafés Lugat brand, wins the French Barista Championship. MaxiCoffee spreads the love to the UK! 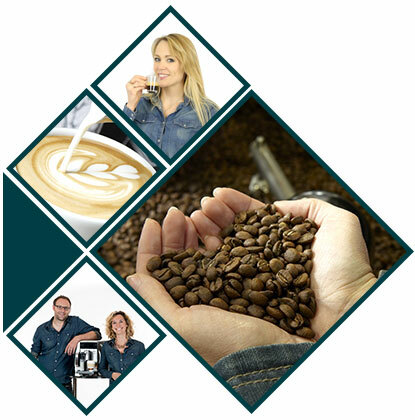 MaxiCoffee is the n°1 coffee expert on the internet in France! We owe this status to our hard work but above all, to our passion! Since 2007, we’ve been doing our best to share much more than just a good coffee. Coffee has a particular place in people’s heart : it is at the centre of special times between friends and families or shared at business meetings where important decisions are made. And of course, the same goes for your tea or chocolate! Our mission? To democratise "good coffee" and find the drink that suits YOU. Because coffee is so much more than just an invigorating beverage : what you drink says a lot about you. This is why our MaxiCoffee team of geeks works hard every day to select the best products, share their tips and recipes… In short, they want to extract the very best so you can recreate your own coffee shop universe at home! What ingredients make our great story? Our adventure keeps on growing and we share our love for coffee each day with more and more people. ● Select the best ingredients. ● More than 5000 products to meet your cravings for coffee, tea & chocolate. ● Over 100 passionate employees. ● 1 photo studio to show the products under the best light. ● 1 customer service team always there for you. ● 1 after-sales care service to take care of your equipment. Mix everything, add a drop of passion, a pinch of curiosity and creativity, a spoonful of expertise and a hint of audacity. Let it all infuse and you will get MaxiCoffee! What makes a MaxiTeam member? Is it the mug he/she carries around at all times? It is not just that. At MaxiCoffee, coffee is much more than just a job, it is a state of mind! This passion is shared in all departments, from our roasters to our customer service team. Addictive and irresistible, our passion is reflected in the aroma of freshly roasted coffee that lingers around our offices. But who are our people passionate about coffee? ● A customer service team always there to listen to our customers. ● A team of artisan roasters : The Cafés Lugat. ● An after-sales care team. ● French Barista and Latte Art champions. Being able to offer good coffee is great. Being able to offer your own artisanally roasted coffee is even better! This dream became a reality when local coffee roaster Lionel joined our team and gave birth to Cafés Lugat. Today, Cafés Lugat is a real team of French roasters, all passionate and knowledgeable, with the aim to offer you unique and unforgettable coffees. Lionel, Marco, Jérémy and Julien follow their coffees from the beans to the cup, ensuring you will get a delightful taste buds experience. They are real explorers : travelling to the best areas around the world to select high quality specialty coffees. They work tirelessly and precisely on each roasting recipe to get the best out of each coffee.